It's important to note that at its core, the I Ching system is a Binary system; it's yin/yang, 1 and 2. These express themselves as simple binaries (at the level of individual lines being yang-male or yin-female) and complex binaries (ie. the combination of two trigrams, where you might have for example the combination of a trigram that's two-parts yin one-part yang with a trigram that's three parts yang; or that sort of thing). So with regard to gender, the perspective that the symbolic/mathematical language of I Ching takes is of necessity that there isn't a spectrum of entirely different types of gender (eg. gender-1, gender-2, gender-3, gender-5, gender-52) which are all inherently different from one another; but that there's a spectrum of genders that are different accumulations of those two basic forces (eg. at the level of trigrams this would be something like male-3, male-2 female-1, male-1 female-2, female-3; at the level of hexagrams things like male-4 female-2, male-3 female-3, etc.). There is an added degree of complexity when you understand that it's not just the quantity of yin and yang in each trigram/hexagram that matters, but also where the lines are placed. So female-2 male-1 where the one male line is at the bottom is a different expression than female-2 male-1 where the one male line is in the center. I think that at times, there is a tendency to imagine that the I Ching is fairly absolutist about gender, after all Yang is "male" and Yin is "female". But remember that there, we are talking about "constituent forces". Yin and Yang as separate forces exist Nowhere at the material level of reality; the I Ching is really saying that while at dimensions beyond the actual manifested material world we live in, you can talk about something Archetypical or even Primordially "male" or "female". But at the level of manifestation (the hexagrams), in our actual world, there's nothing that is only purely male or only purely female. Even the hexagrams #1 and #2, which consist of all "male" lines and all "female" lines respectively, and are thus as-male/female-as-you-can-get in this level of reality, still have within them the potential for changing. Any one of the lines that is solid can theoretically become a changing line and then mutate into its opposite. So even those two cases cannot be thought of as "Absolute" in their maleness or femaleness. In I Ching tradition, the number of changing lines you have affects what should be read, and allows you to determine which particular part of the overall reading represents the “centre”, that part of the casting that marks the present or the most urgent thing to attend to (with all that comes before that “centre” being previous developments, and all that comes after being later developments). -No Moving Lines: then read the Main Hexagram Text only. -1 Moving Line: then read the Main Hexagram Text, the Moving Line, and the Future Hexagram Text, and the Moving Line is the “centre”. -2 Moving Lines: then read the Main Hexagram Text, both Moving Lines, and the Future Hexagram Text; and the UPPER Moving Line is the “centre”. -3 Moving Lines: then read the Main Hexagram Text, all three Moving Lines, and the Future Hexagram Text; and the MIDDLE Moving Line is the “centre”. -4 Moving Lines: then read the Main Hexagram Text, the four Moving Lines, the Future Hexagram Text and the two lines from the Future Hexagram that were unmoving (for example, if you get a hexagram with lines 1-4 moving; then you will read lines 5 and 6 of the Future Hexagram). 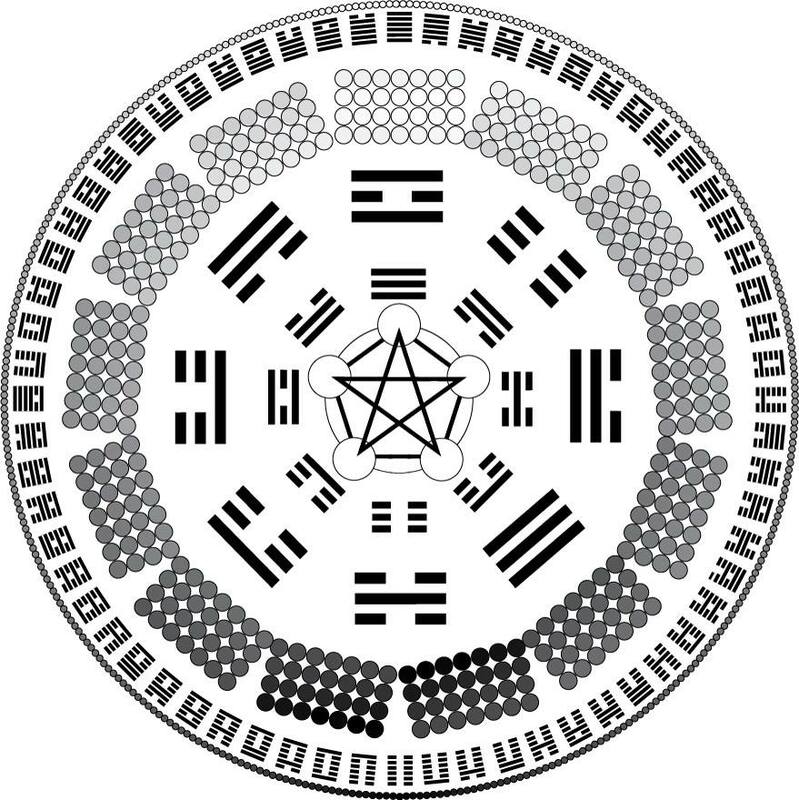 Of these, the LOWER Future Hexagram Line is the “centre”. -5 Moving Lines: then read the Main Hexagram Text, all five Moving Lines, the Future Hexagram Text, and the unmoving Future Hexagram Line; and the single unmoving Future Hexagram Line is the “centre”. 6 Moving Lines: then read the Main Hexagram Text, all six Moving Lines, and the Future Hexagram Text; and the Future Hexagram Text is the “centre”. Naturally, all of the above describes the basic way you would read an I Ching casting, and it is how you begin. However, as you develop there are other aspects you are doing to want to look at, but it is not good to overburden yourself at the beginning. Make certain that you have a firm grasp of the fundamental method before delving into other details. Later on, you may want to look at and contemplate the structure of the hexagrams you cast: look at the lines, which line is where, understand why that makes certain things good or bad. Look at and contemplate the image evoked by the component trigrams (both the “official” one described in the book and other ways you could imagine those two elements combining to create an image). You will also want to look at the Nuclear Hexagrams involved, as well as the opposite, overturned and reversed hexagrams; there may be more information on this later. 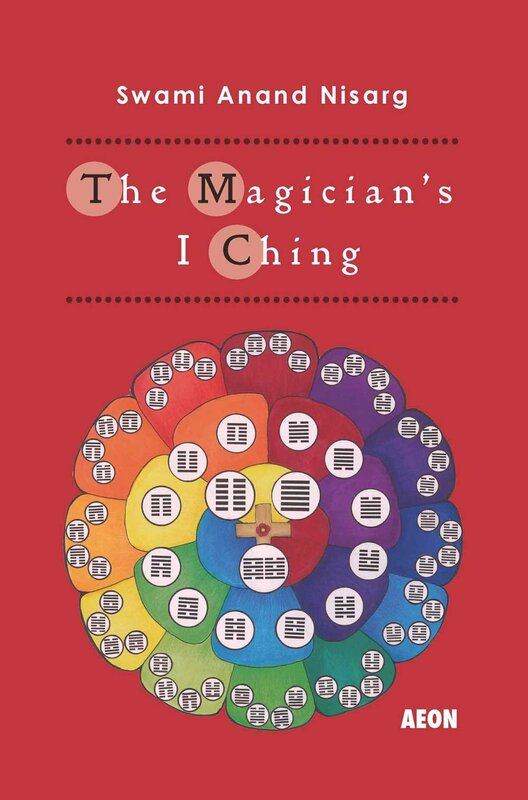 If you want more information and guidance to performing an I Ching casting, please consider purchasing the book "The Magician's I Ching". Once you have generated a hexagram with a casting (whether its by the yarrow stalk, three coins, my own 'four staves' or some other method) you must then interpret the casting. The way to do this is first, look up the hexagram generated in the I Ching (most I Ching books have a master table that lets you easily look up the hexagram number based on its component Trigrams). Once you have looked it up, read FIRST the general main description of the Hexagram. Second, read any "changing lines" that were generated by your casting. Read only those lines, do not read the oracles for the lines that were not changing lines. In terms of interpretation, as a rule of thumb, if the changing line/lines seem to contradict the oracle in the main text use the oracle of the lines. The lines deal with the specifics of your particular moment in the process of that hexagram, while the main text deals with the bigger "panoramic" view of the hexagram's theme. You can also read, if you are using a translation that has them, the image description and Confucian commentaries for that hexagram. Then, after that, take all the changing lines and change those lines into their opposite: so any broken changing lines become solid lines, and any changing solid lines become broken lines. This generates a brand new hexagram, the "future hexagram". Look it up, and read only the main text description. This provides you with an oracle as to what the present situation is in the process of evolving into. These are only very basic simple instructions. Later on, I'll try to write more detailed instructions as to how to interpret a casting. If you are interested in joining the Yi Fa Society please don't hesitate to contact me for information. 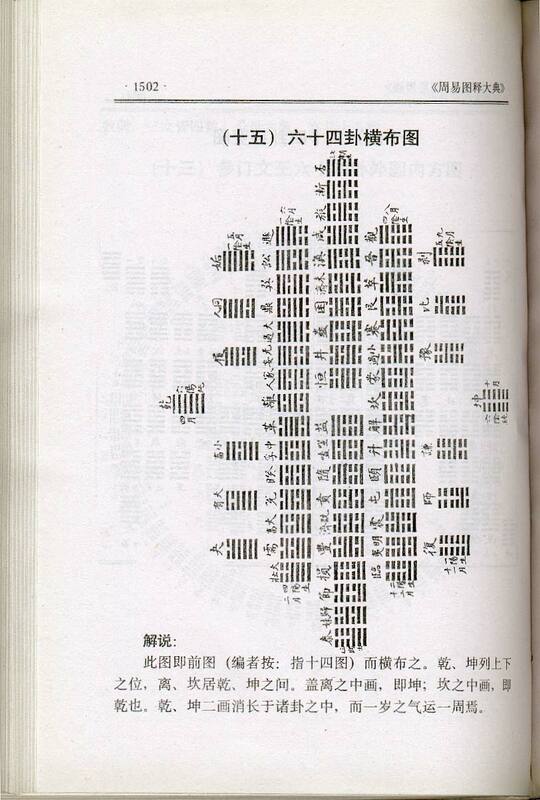 The image presented here is of the "boolean lattice" arrangement of the I Ching hexagrams. It demonstrates how the I Ching can be mathematically projected into a sixth dimensional hyper-geometrical prismatic figure. That is to say, some of the hexagrams existing within other hexagrams (nuclearity) are meant to reflect hyper-dimensionality. So together, the hexagrams are a conceptual of "drawing" time itself in the same way we might draw distance. From the point of view of a sixth-dimensional universe, time would look like a physical object (just like if we existed in a second-dimensional universe depth would not have solid form). This is difficult even now to wrap our heads around, but it means that the hexagrams of the I Ching collectively are as much a "physical map" of TIME like one could have a physical map of, say, Norway. I think that when it comes to the interpretation of line positions, there are clearly certain significant general rules. Yang is, on the whole, better than Yin; getting a solid line is usually more promising than getting a broken line. However, the lines of the hexagrams are affected by both their position on the hexagram (ie. a yin line in number 2 is more likely to be positive than a yin line in number 3 or 5), and the nature of the lines in other positions (ie. a yin line in number 2 is more likely to be positive if it is surrounded by strong yang lines; or if there is a solid yang line in number 5). The overall positions of the lines seems to have more influence than the trigrams that compose the hexagram, when it comes to determining if any given line is auspicious or not; but the trigrams do still exert their influence. The overall image they create can affect the line concepts; and certain trigrams (like Kan, which symbolizes the lunar Moon force even though most English versions of the I Ching call it "Water"), tend to have stronger influences than others (Kan also represents "a pit", and so its seen as a serious malefic force unless its very well-dignified). In the era of the Shang dynasty, when the I Ching was already in use but not yet quantified into a book, the great Shang wizard-kings were expected to make regular auguries. At that time, the Shang used bones thrown in fire for their divination; turtle shells and ox bones (the cracks the fire caused in the bone or shell would reveal the lines of yin and yang). In the earlier Shang archeological records, you see auguries about all sorts of subjects, and auguries where the King proclaimed good luck or bad: "we should attack this country", "if we attack now it will be disaster", "the king's second wife will have a child", "the queen will have a stillborn son". Prosperity and famine, bounty and disaster were both predicted. However, by the later period of the Shang dynasty something interesting happens: the oracles the wizard-king declares become quite different, suddenly they are all very vague and generally good, one after another. There are thousands of declarations that say something like "the next period will be truly auspicious, with no misfortune". The notable difference is that the earlier era was one where the Shang were the mightiest kingdom in their known world. The latter era, however, was one where the Shang had become corrupt: their last king was tyrannical toward his outlying provinces while engaging in decadent behaviour at home (legends hold that near the end he had built an artificial lake of wine with a paradisaical island filled with deer meat at its centre, and sumptuous palaces where he held degenerate orgies that included the sadistic torture of commoners). Rival powers were emerging and the Shang dynasty would soon be overthrown, their kingdom being over-run by the Zhou (including the great King Wen, who wrote the text of the I Ching and thus proved he had superior magical power and wisdom than the decadent kings of Shang). It seems that in the earlier era, the people were willing to hear, and thus the king to declare, bad news as well as good. But in the latter era, when things had gone bad, the people didn't want to hear anything realistic from their government, they just wanted to keep being told everything was going to be great and there wouldn't be any problems; they wanted to be given reassuring lies. These oracles were the equivalent of "campaign promises" in modern elections; and by the end time of the Shang dynasty no ruler dared demands "blood, sweat or tears" from the people, or ask them to make sacrifices; instead he had to constantly repeat the story that everything was great, that they were the best country in the world, that every problem would be solved and no sacrifice would be needed. Thus, the last Shang king was blinded by his own lesser nature, to the extent of having executed wise counsellors who attempted to warn him of the dangers his kingdom faced. This is what the Confucian commentaries of the I Ching would describe as the preponderance of the Inferior Person: a time of decadence that has spread to the moral, intellectual and vital faculties. At that point, only revolution (by the Zhou) could restore society. And indeed, King Wen's son fulfilled his father's dreams by uniting 11 of the border territories against the Shang, defeating their armies and conquering the kingdom. The last King of the Shang committed suicide on his deer meat island while his palaces burned. In this little piece of I Ching history, there is a very interesting example of the kind of teaching the I Ching promulgates (and explanation of the context of the times in which the actual text of the I Ching was written); and likewise the ways someone can use it effectively, or fail to apply it correctly. Its also an interesting message for our modern era, showing off just how relevant the I Ching continues to be, 3000+ years after the time of writing of the I Ching, because the same problems keep happening. The I Ching has, for thousands of years, warned us what happens to those individuals, as well as societies as a whole, who are fat and complacent, only wanting to hear 'good oracles'.